I met this pretty fairy this week. Her colors are perfect on days with overcast skies. She reminds me that spring will be here soon! Our winter is terribly mind here in Northern California this year with drought conditions. But I still use warm socks and cozy pajamas. I look forward to sunshine and flowers. I also updated our Etsy Shop. I also created Fairy Kits by request. This kit has the supplies for one fairy. This is a perfect gift idea. I even create the body since that can be tricky. Children can have fun sewing the hat and creating their own magical doll. 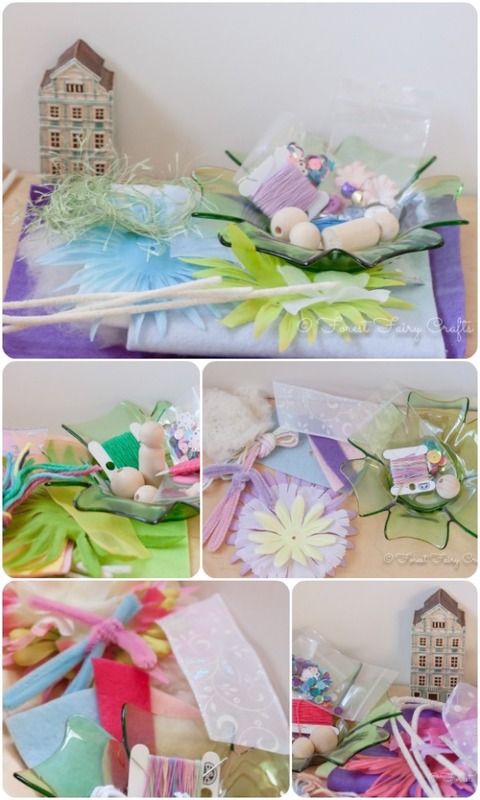 Both kits depend on the Forest Fairy Crafts book for directions. You can create your own felt treasures of course. I am glad that I have them for giving our book to friends. It's so hard to wait if you need supplies! I hope they bring fun and creativity wherever they go. We also learned that our projects appeared in two magazines. Yes, two! We were in Kiwi magazine. Thank you for the lovely review! And we are in BYou magazine. So exciting to see the fairies, gnomes, and crafts in print!